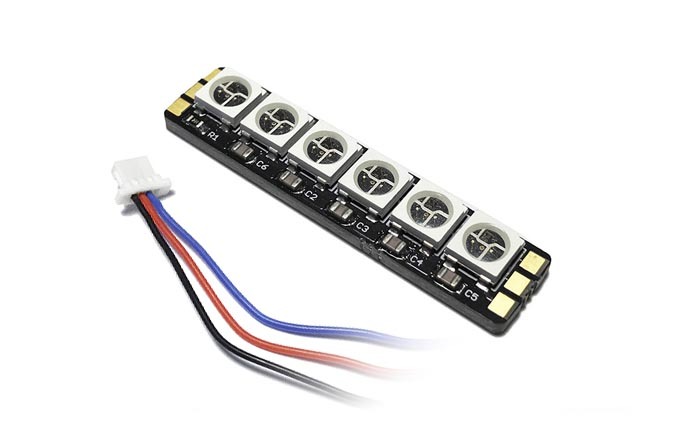 LED Strip accessory adds a new level of personalization to your quadcopter. 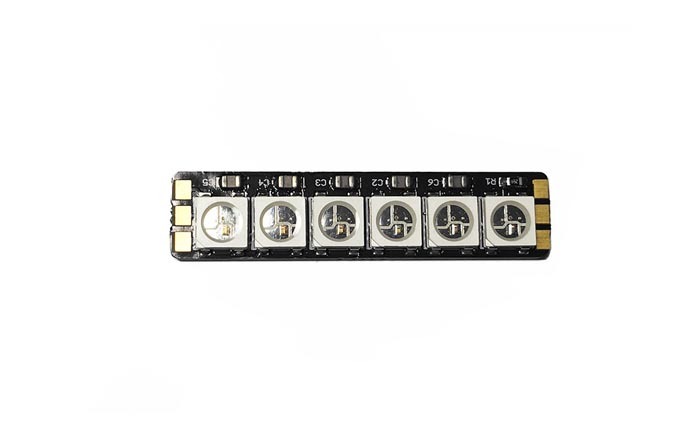 The six addressable RGB LED strip was specificly designed to work with the Transmitting Module. 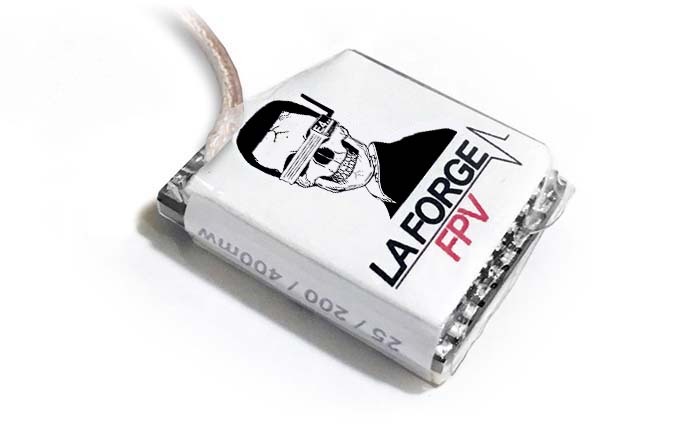 When plugged into the accessory port of the Transmitting Module up to 14 colors can be selected from using the IR Remote. Plugs directly into the accessory port on the Transmitting Module. LED Strip can also be modified to connect to the flight controller. Quickly change colors through the VTX Quick-Bind feature whenever you want. No computer required when connected to the Transmitting Module. 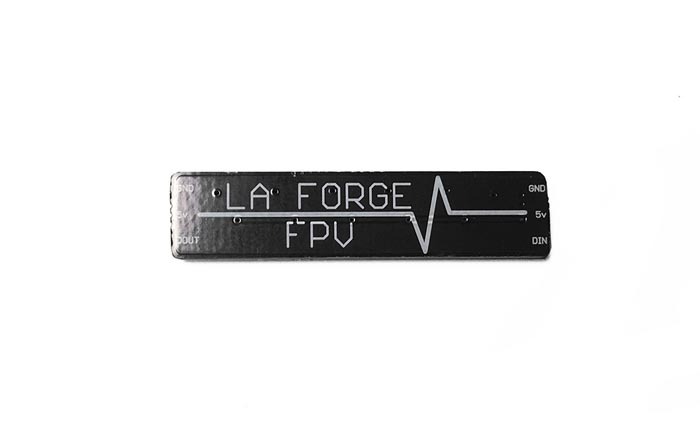 Be sure your 5v power distrobution board (PDB) can support the current requirements of the LED Strip and Transmitting Module. 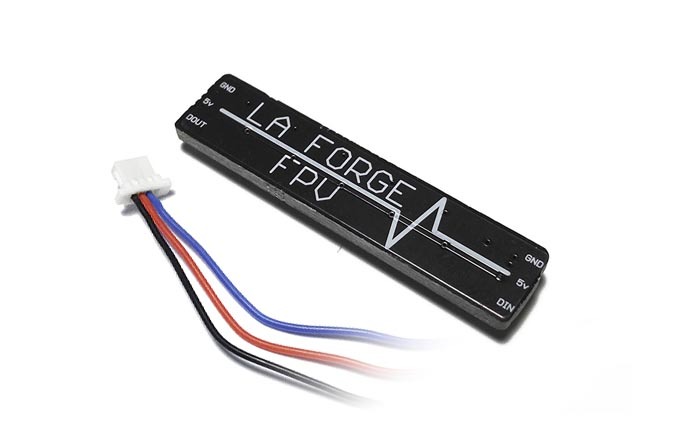 3.5v to 5.0v input voltage. Typical about 200mah per strip.